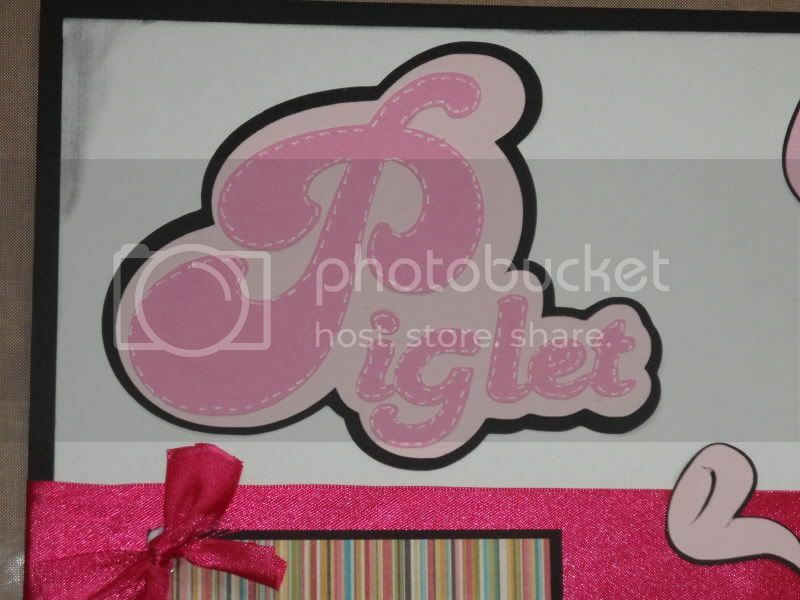 Although Pooh and Eeyore are my favorites, Piglet is right behind them. The Pooh and Friends cartridge has a number of fun cuts of the characters in all sorts of poses. 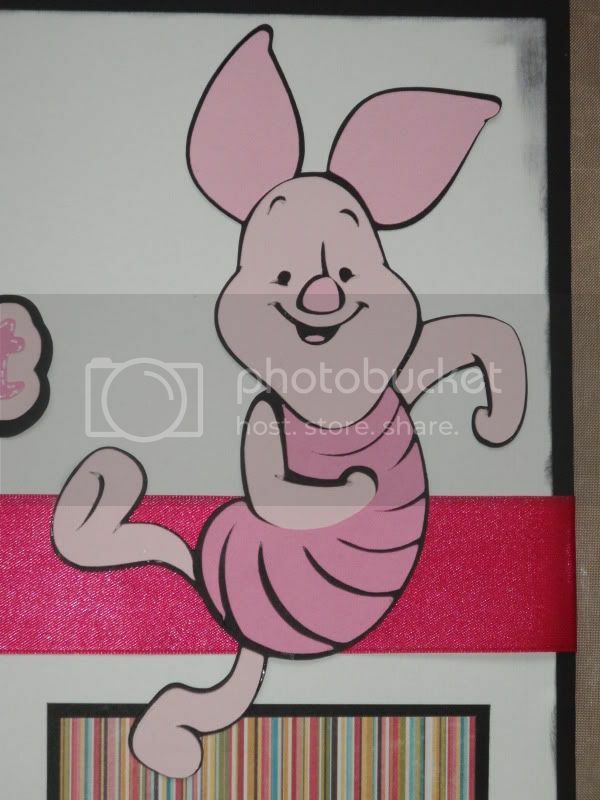 I especially like this dancing one as it looks like Piglet is having so much fun. 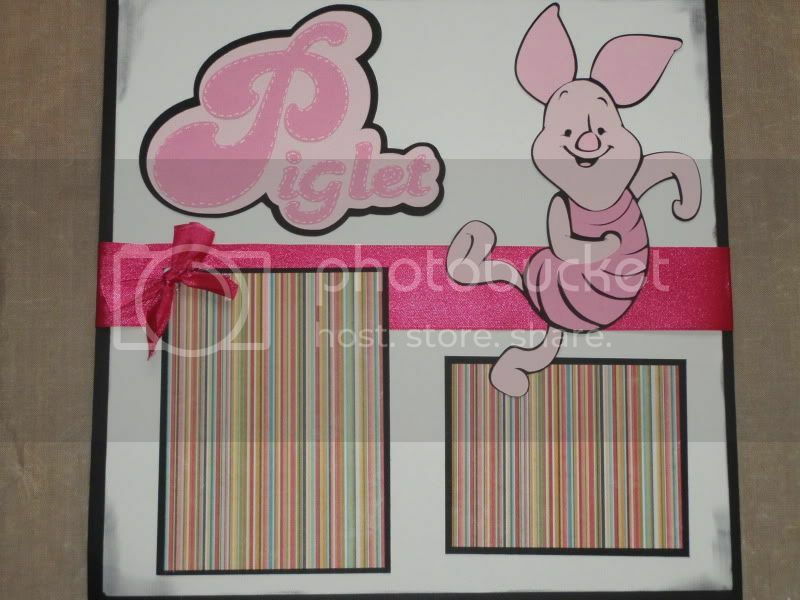 Piglet's cut at 8" and his name at 4". I continued to use paper from the My Mind's Eye Stella Rose paper collection. The gorgeous fuchsia ribbon came free with a purchase, possibly from Chicos. I've now finished all the pages that will go in the Pooh section of my Disney album, except for the pictures, of course. 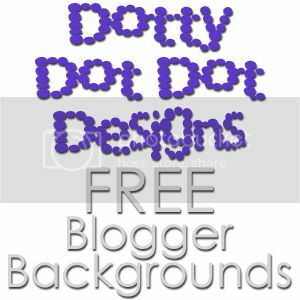 I have two more to show you, so check back later today or tomorrow!